Such a beautiful succulent garden! Love these cards. 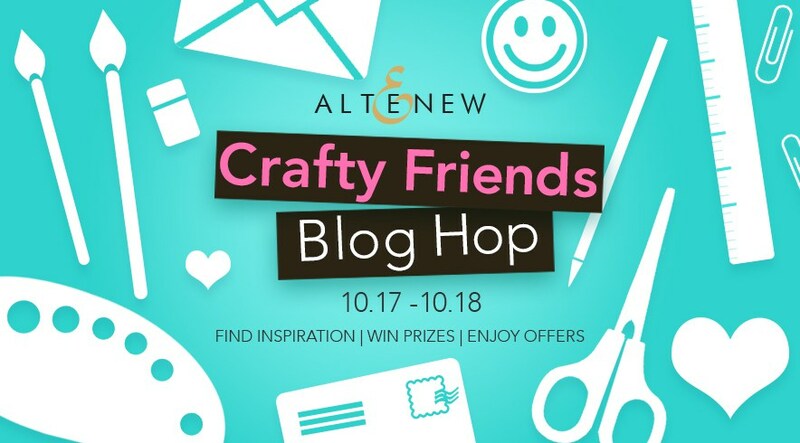 This blog hop has introduced me to new crafty blogs. Love your card. Crafty friends are awesome, love that my sisters and I get together to craft. Love your card... I need some of those crafty sentiments! Fun cards!! Thanks for sharing!! I really like the succulent set and you really made it special. Thank you for sharing all your photos. That saying is so true!! Adorable card and wonderful sentiment. I agree! I love looking at your photos, wonderful memories! Wish I could find some paper crafting buddies. Looks fun. Such a beautiful card! Love the succulents! The sentiment is lovely! Love the card and I love all the pictures of your crafty friends. Thank you for taking the time to spread the love with your creative spirit. 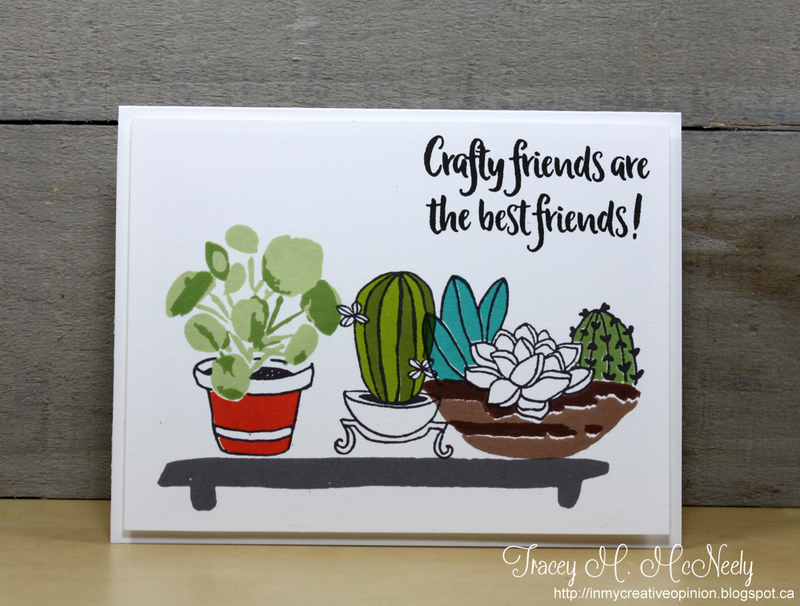 I just love your card that you made with the succulents and yes, crafty friends and the best! Such a cute card. Lovely coloring! Great card! Love how you colored the succulents! wonderful card Tracey - and so fun to see pics of your crafty friends! Can't beat crafty friends and all the fun we have together. Wonderful card! Love the cute cactus and succulent stamps! Love succulents . They look so nice on your card. I spy a few faces I recognize. Love your card and the stamp set you used. Great job! Your card is great! I like that some images have outlines and others don't. Very eye appealing! Gorgeous card, love the succulents!!! Love your indoor garden card! Your card is so pretty!! The inks are crisp and gorgeous!! LOVE your photos!!! Your succulents are so pretty! Great to see how many crafty friends you have, too! What a wonderful little vignette! I love the colors and the placement of all the elements! I totally agree with that sentiment! Crafty friends are the best! Love these succulents thanks for the inspiration! Love that card. Succulents are always in style!! This is a lovely card Tracey! And just look at all of those lovely crafty friends you've had the chance to meet. One day...one day!! Hey, crafty friend! ;) Love your succulents and the colouring. Brilliant and ingenious, but the best part of this post is the friendship photos! The card is so simple and crisp. I like that some of the stamped images are lined while others are not. Thank you for sharing the crafting photos as well, I got excited to see Toronto crafters unite hehe. This is such a fun blog hop.. Love sharing the friends that we've meet along the way. THey are so special! These succulents are fresh and lively looking! Perfect for a just because or encouragement card! TFS! Great card. Cheerful and bright. Very sweet. I really like this. Beautiful card. I think I might have all those little plants at home :) . Now I wish I had that stamp set. Love the realistic look of your succulents on your card. Thank you for sharing your crafting friends story. Cute card. I too believe that crafty friends make the best friend! I just love this succulent card! Thank you for sharing your creativity! So cute. I love your potted succulents! Thanks for the inspiration. And I love all the photos of your crafty friends. What a lovely succulent garden!! And that sentiment is just great! I like the simple, retro feel and the clean lines. My experience has been that crafty people are good people and I've made many new friends. I enjoy Altenew layering stampsbecause they give me great results! This is gorgeous! LOVING those colors!! And crafty friends are the BEST!!!!!!!!!!!!!!!!!!!!!!!!! Great card! 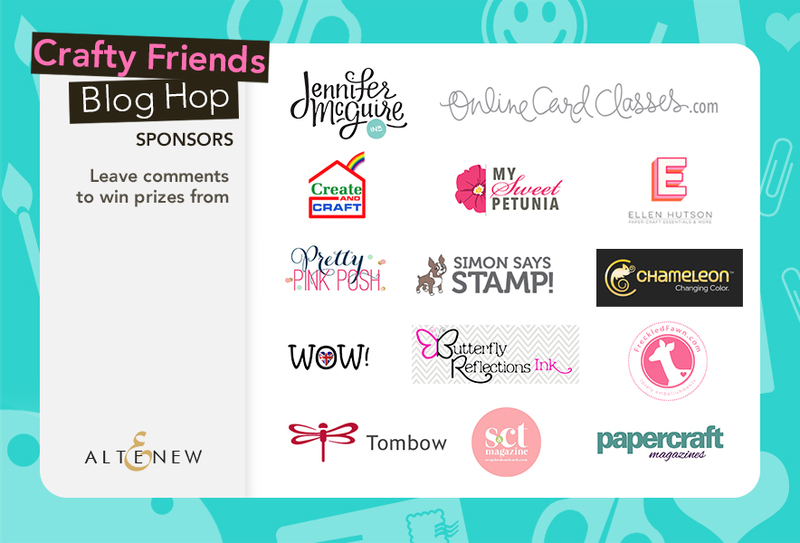 I love seeing all the beautiful cards and pages in this Blog Hop. So many talented ladies. Thanks. Love your cards, very nice colors, love succulents. Crafty friends are great friends to share our hobby and life with!! Such a beautiful one layer card of gorgeousness! Clean and simple card... I love it! Really love these succulents. Your colors are wonderful. I recognized a couple faces in your photos. So lovely to get to spend time together. Looks lovely. Your retreat looks like so much fun! Thanks for sharing your pretty card. What a great card.. and yes they are! Little plants and cacti are so hot! Love your succulents!! Fabulous card! Love the colors in your clean and crisp card! Lovely! 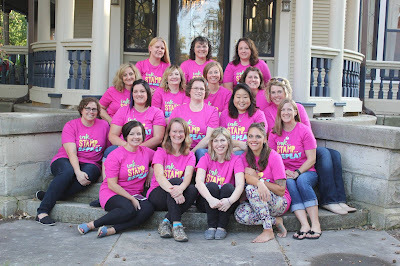 Fantastic blog hop hearing everyones stories. 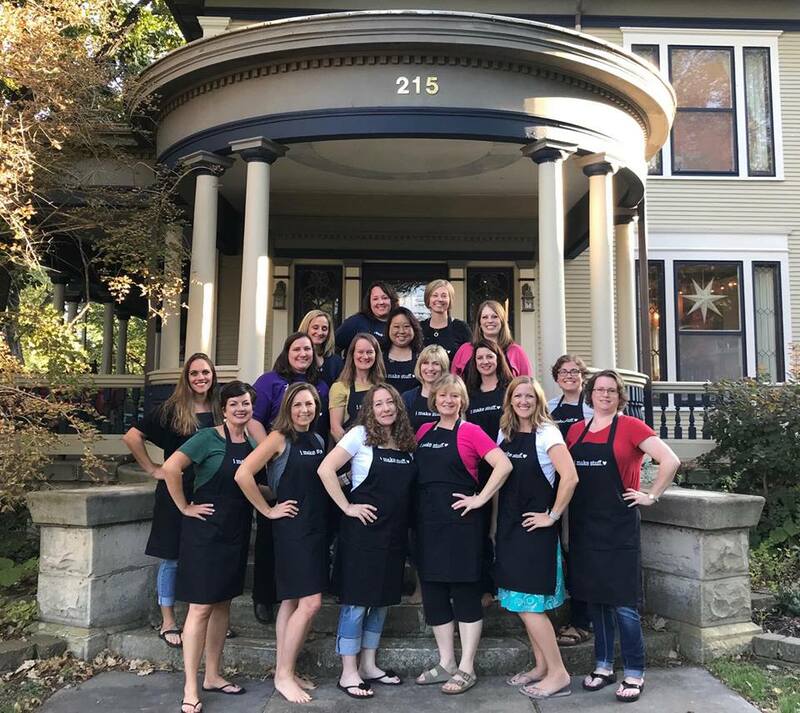 How do you get invited to a crafty retreat like the one you just attended? I would be thrilled to have a crafty group of friends like that. Loving these stamps! Super cute card! Fabulous card! I love the Altenew images - a real treat to work with, and even more fun to see what you made! Your stamping is perfection! Your photos of you and your crafty friends stole the show.. fun to see ladies I recognize and your smiling face Tracey! Clean and simple. Love everything about this design. made me jealous when I can do something like this? Brilliant card Tracey. I love the artistic feel. Brilliant. Hugs. I would love to meet up with a bunch of crafty ladies around here! The closest I have found was a class or two at my local craft store, but there wasn't much interaction. I had a great time, but that was the only time I ever saw those women. (It was a totally different experience when I went to a jewelry class: lots of back and forth, lots of sharing ideas --and supplies. And we exchanged a few phone numbers! thanks for this very cool card! Love the photos you shared! Crafting/stamping has such a great community of people! Awesome card, colors are great. Such cute pictures! The card is lovely, too! Pretty card. I do like that stamp set. Thanks for sharing the pictures. Oh, yes! Crafty friends are the best! Simply sweet card...just love your wonderful plants. LOVE all your sweet photos with all your crafty friends!! Just so cute. I can't wait to be in one with you too in April! Love the vibrant colors on your beautiful card! Thanks for sharing your photos. It's always so fun to meet crafty friends face-to-face. I love this quirky little card! The lettering on the sentiment is wonderful. Such a beautiful garden! And I love that sentiment. Great card! Crafty friends are the best! There just no arguing with that fact! It's the most friendly, supportive, teaching, caring, learning, kind and giving community I've ever been involved with! Altenew it's self is a wonderful example of this! Your card is very sweet and I so agree that it's a joy to use Altenew layeringstams and inks - results are so great! Crafty friends are definitely the best! Love this wonderful set and your fabulous design! Crafty friends are the best! Enjoyed your card and the photos you posted of your crafty friends! The variety of green inks looks exactly like my own cacti containers! A wonderful sentiment for your special weekend memory! Altenew thinks of everything, don't they? That cherry blossom as the splash of color is fantastic! Love the card and enjoyed the photos of you and your crafty friends, too! Adorable card and fun pictures, thanks for sharing! Love this stamp set! It's going on my Christmas/Birthday wish list right now! I too have made so many friends in the craft industry and I'm so grateful for them. Beautiful card and stunning colouring!!! Such a fun card, wonderfully clean and simple. Thanks for sharing your crafty friends photos, nothing makes me smile more that time with crafty friends! Such a fun card and such a true sentiment! What a gorgeous fun card! Thanks for sharing! What a terrific succulent card... love it!! How cute is your card!! Love succulents. Superb design and colour. What a beautiful little scenery on your card. The plant on the left looks like my "pancake plants" that I have. Great pictures with your crafty friends. So cute! I adore the simplicity of this card. Your card is great, love the colors you used!And I love the pictures! We usually see just hands and maybe hair in a video, seeing everyone together is super cool! Succulents are my new favorite plant. Love this set and the colors yu used. How fun!!! And what a great sentiment! I love that card and stamp set! 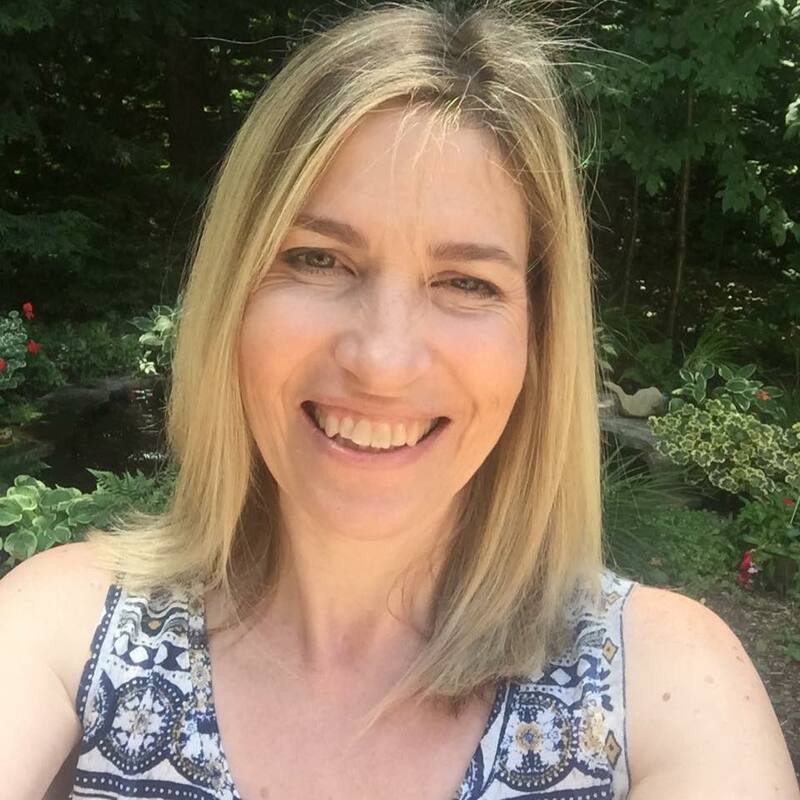 Super to see you on the Hop list Tracey! Sweet card and I LOVE seeing the photos of you and your crafty friends:)Some I'm beginning to recognize as gals I follow too! Only another crafty friend could appreciate how difficult it is to stop buying new supplies. While others keep a notebook handy to take notes, I keep one to know what I need next for my next project. Here's to all my crafty friends. Love the cactus. We all have a "prickly" friend. I love succulents. My daughter and I are constantly planting them and killing them (not intentionally). I think we love them to death. Anyway, great cards. Love the clean, modern look of your card! Thanks for sharing! Love the coloring and the color combo on your card! Enjoyed seeing the pics! Love all your pictures and your stamping on your card is incredible. So vibrant and perfect in every way. What a lovely card! I love the plant them and the crafty sentiments! Thanks for sharing. Great card! Love the sentiment so fun! Love your clean card, its realy a little indoor garden. Great pictures of your crafty friends, cherish them! Such a simple and quaint design. I would have a difficult time NOT coloring all the areas....I'm going to study this and practice. It really packs a visual impact which I like. Thanks for the inspiration. 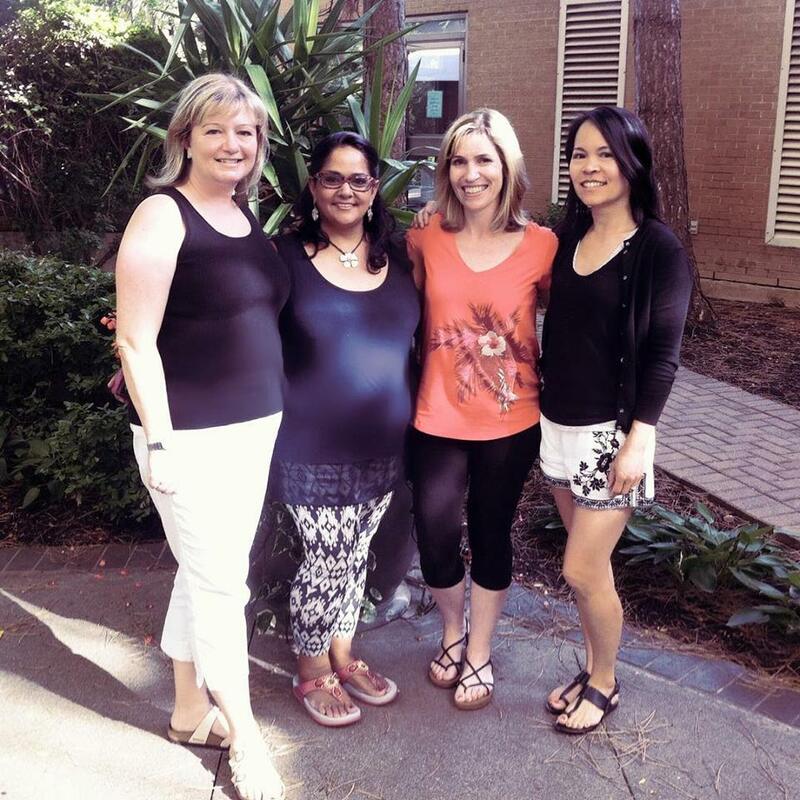 Fun to be able to go on a retreat! Beautifully stamped! I love this set and your card! I totally agree with the sentiment and I love your card! TFS the pictures of the retreat! So much talent in one place! Oh, I love the images on your card. Crafty friends are the best. Adorable! Love those succulents! I hope you heal quickly too Tracey. Fantastic card! I love how you chose parts of the stamped images to not colour. I like that you left some of the design uncolored. I never think to do that as I'm afraid non stamping people may think it just wasn't finished. It looks like a really nice stamping set. 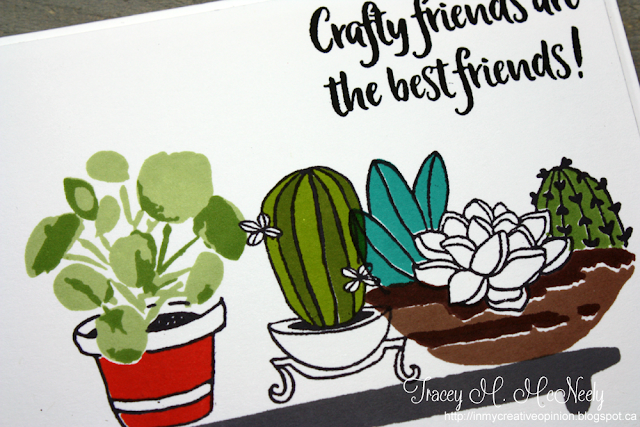 I love the cacti on the card! So pretty and definitely brought a smile to my face! Very pretty card. Love the colors and the beautiful images. Gorgeous muted colors on the cacti. Clean and elegant. What a cute card. Love the sentiment. ßuch a unique card! I love it!! I need some stamps of different fauna like those you used. 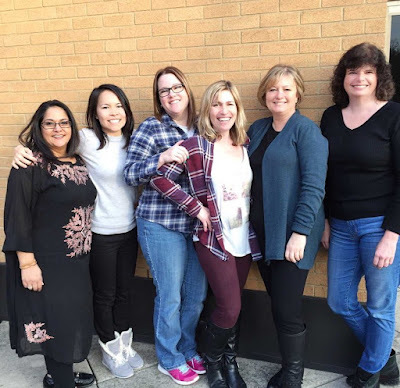 Thsnks for sharing some of your crafty friends story with us! Wonderful card. 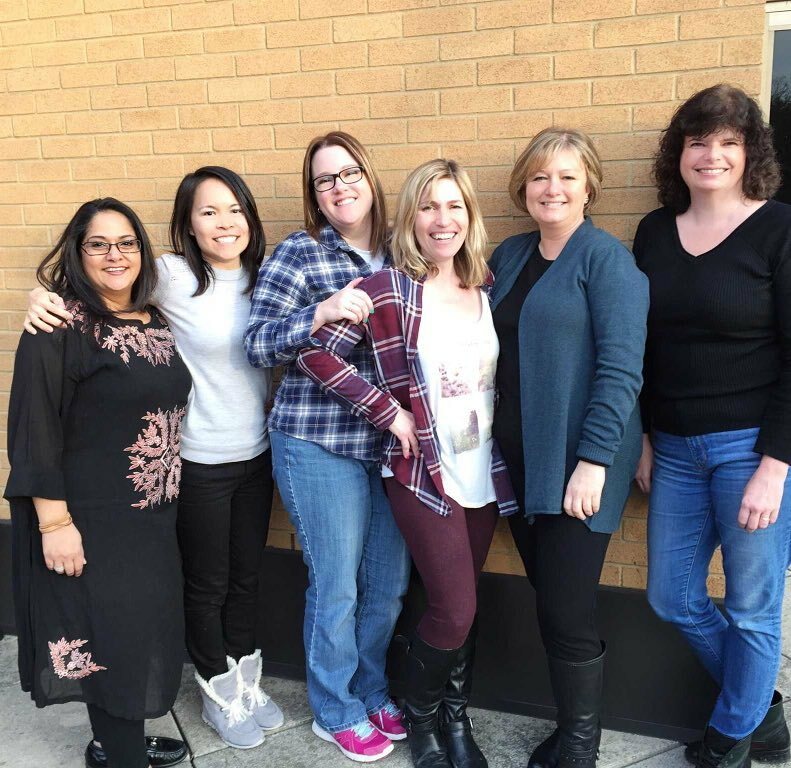 You are very blessed to have a wonderful group of women to call your crafty friends.